How Do I Use My Android Device As A Universal TV Remote? Keep in mind this will only work on some of Our TV units. Your Smartphone will also need to have an inbuilt infrared (IR) sensor listed in its device specifications. 1) Open your "Live TV" application and select the remote icon in the top-right of the display. 2) - Follow the prompts, ensuring to turn your TV off before starting the process as directed. 3) - Keep tapping "Next" until you get the option "See All Brands." 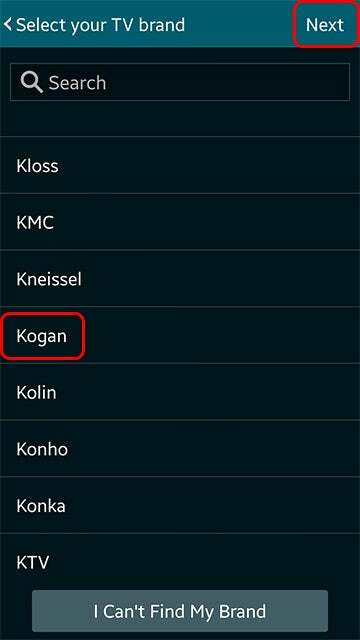 4) - Locate and select Kogan and tap "Next". 5) - Tap the power symbol labelled "button 1." If your unit turns on click "Yes." 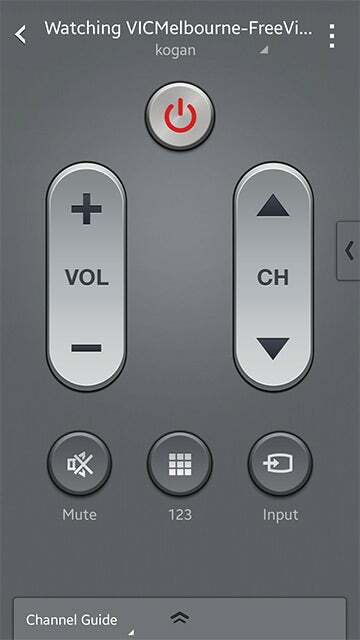 6) - You should now be able to control most of your TV's functionalities via your Android device as seen below. If you have any concerns, please feel free to contact our Support Team below.